As you can see I have a brand spanking new look! And I absolutely love it! My blog was designed by the fantastic Amy from The Little Koala and she was an absolute pleasure to work with and really transformed my ideas into reality. I would highly highly recommend Amy if you're looking to re-vamp your blog. I'm so happy! Today's post is about another recent US online purchase was 2 of the new Mac Veluxe Pearlfusion eyeshadow compacts. 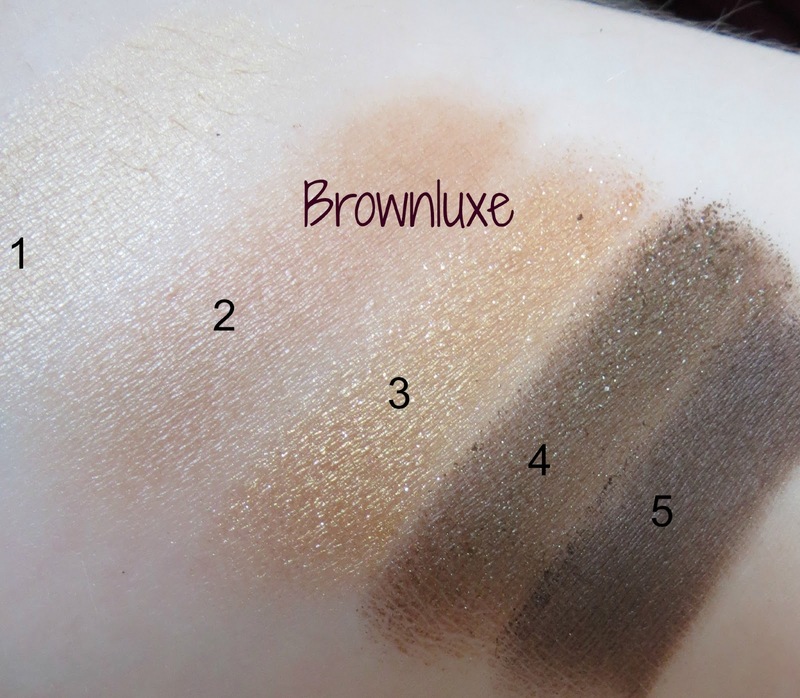 I chose Greenluxe and Brownluxe from pictures and online swatches alone and I'm not too disappointed at all with my choices! One thing I don't like-the shadows aren't named. 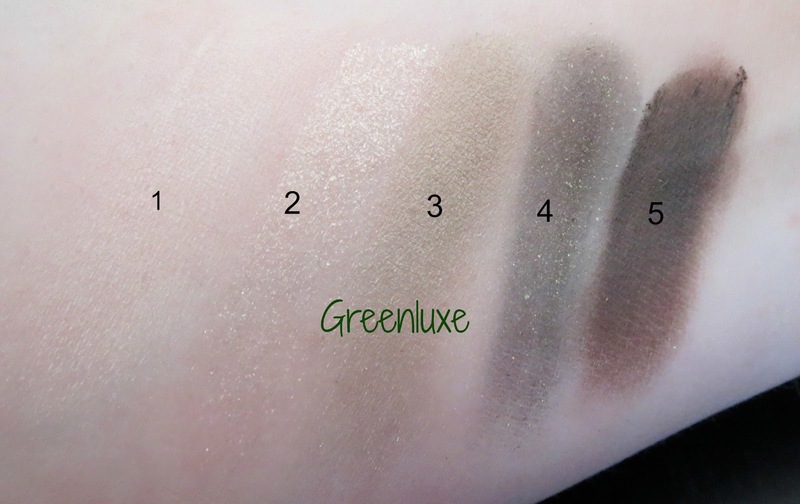 The bottom one of the Greenluxe palette looks like Mac Club-but is it? Also, in all honesty this is not the best Mac packaging. Yes I like the fact that the lid is clear so you can easily see the contents, but it feels cheap as a compact. 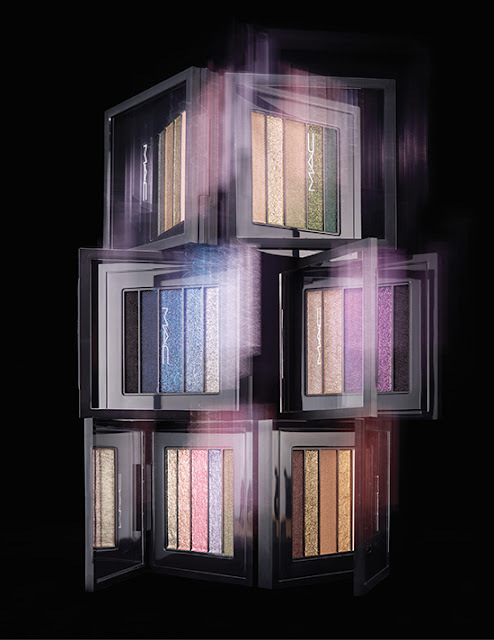 They are however nice and light for travelling with and perfect for creating a range of looks on holiday. These shadows are not for matte loving girls. They are shimmery, not to the point of overly glittery but some of the shades contain glitter. My personal favourites are shades 2 and 4 from the Brownluxe palette and I am pretty much sold on the Greenluxe palette as a whole. When you swatch the colours they do feel creamy, there is a little bit of crumbling from the palest shades. I will be using this shadows over a primer regardless. These are currently only available in the US but are coming to the UK soon. 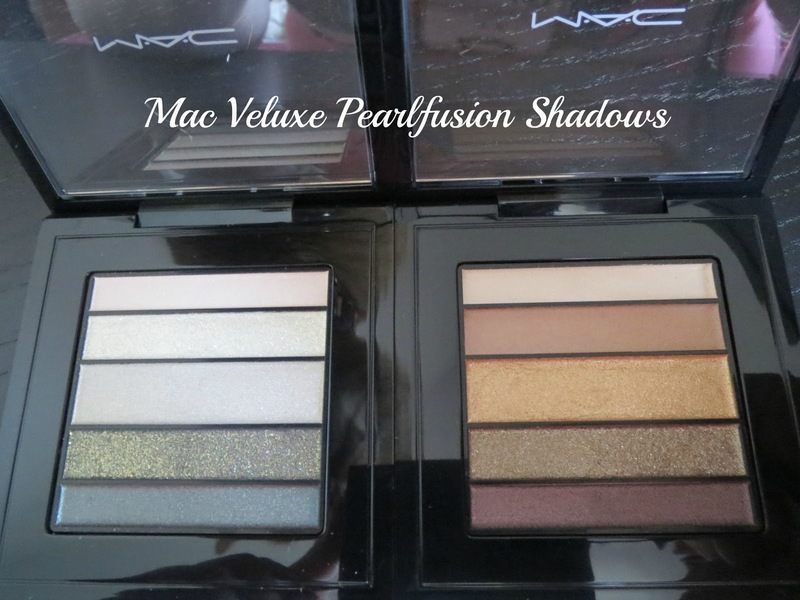 They can be used wet or dry and there are 6 palettes in the collection in total. Any of them take your fancy?